Shame on Living in Cebu forums associates. - Paul Petrea and associates. But a few nostalgic of the forum don’t give up. They fly to his rescue exploiting the current situation in the Philippines to raise money for this criminal. 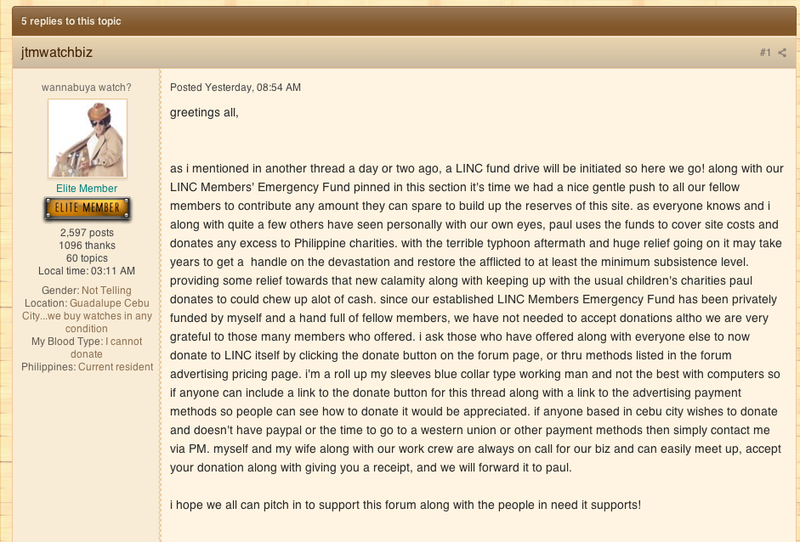 The thread started by a fellow advertising his Watch business on Paul’s site with a paid banner. When we thought is over.Is not! You need to copy and paste the URL's to read the rest of the story, Google blogspot decided so, no "live" links. HARLINGEN — A Harlingen man was arrested after he failed to fully stop at a stop sign, according to police press release. An officer on patrol at 1:50 a.m. on Jan. 17 stopped a maroon 2005 Ford Taurus in the 500 block of South P Street. The officer spoke with the driver identified as Woody Paul Petrea Jr, 23, who was arrested for the traffic violation, police said. During a search of the vehicle the officer found and seized 16 Xanax pills an Ecstasy pill, .021 ounces of cocaine and .22 ounces of marijuana, police said. Petrea was arrested and taken to the city jail. He was arraigned with two state jail felony charges of possession of a controlled substance with bond set at $20,000 each charge; a Class A misdemeanor charge of possession of a controlled substance with bond set at $5,000, and a Class B misdemeanor charge of possession of marijuana with bond set at $2,000. Paul Petrea gone but not forgotten. I guarantee it…I'll make sure for anyone wants to interact with the criminal knows with whom he deals with. Sorry kid, this time I will not spare you. It's a really wierd site to say the least. I got banned because I mildly protested that the moderation was too heavy-handed. It's literally like North Korea or something! I got a nasty note from one of the admins to the effect that "since you're not happy here, bye-bye Princess". So odd. What's with those dudes?